Now, I should have gotten to this much sooner, but I have had an extremely busy summer and fall, and with that How to be Swell took a bit of a back seat, sorry to leave you guys hanging. Part of what I was busy doing was hanging out in Geneva checking out some beautiful watches in their native land. 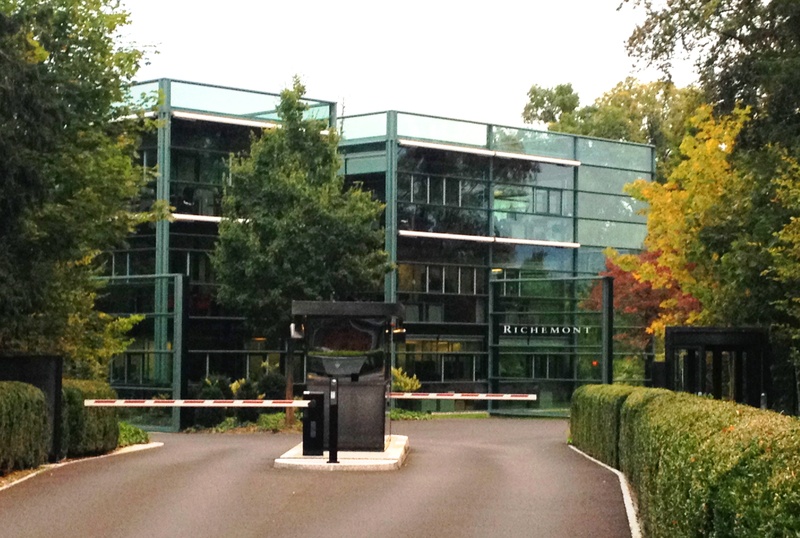 I even made a stop at The Richemont group, home of Baume et Mercier. There was so much to see, and I hope this post was worth the wait. This watch I am about to tell you about certainly is, it’s the flagship of the Baume Mercier catalog. It is time again to write about a favorite of mine. I recently was fortunate enough to win a photo contest put on by Baume et Mercier. I was awarded a beautiful Clifton watch, it was accompanied by a nice book, photo, and letter from their CEO. Now, of course I really enjoy this watch, but there is another Clifton model that excites me quite a bit as well, it is the 1892 Flying Tourbillon. I had asked one of the very friendly press contacts there if she could also share some of the details on this particular watch with me, and of course she obliged. Baume & Mercier has been making a name with some beautiful and affordable offerings, they are not however limited to basic run of the mill watches. At SIHH 2014, Baume & Mercier introduced its first tourbillon watch, the Clifton 1892 Flying Tourbillon, taking on the vintage spartan design and style of the existing Clifton line, but with a more exclusive complication. The 1892 Flying Tourbillon title is a nod to the historic Baume & Mercier tourbillon pocket watch with which it shares DNA. The Clifton line was released last year, and includes a number of excellent pieces, some of which I have reviewed here on How to be Swell, such as; The Complete Calendar, the Clifton Chronograph, and Clifton Automatic and the also offer a retrograde date. The line is a classical designed modestly priced intended to be attainable to the average consumer seeking a finer quality and very wearable watch. 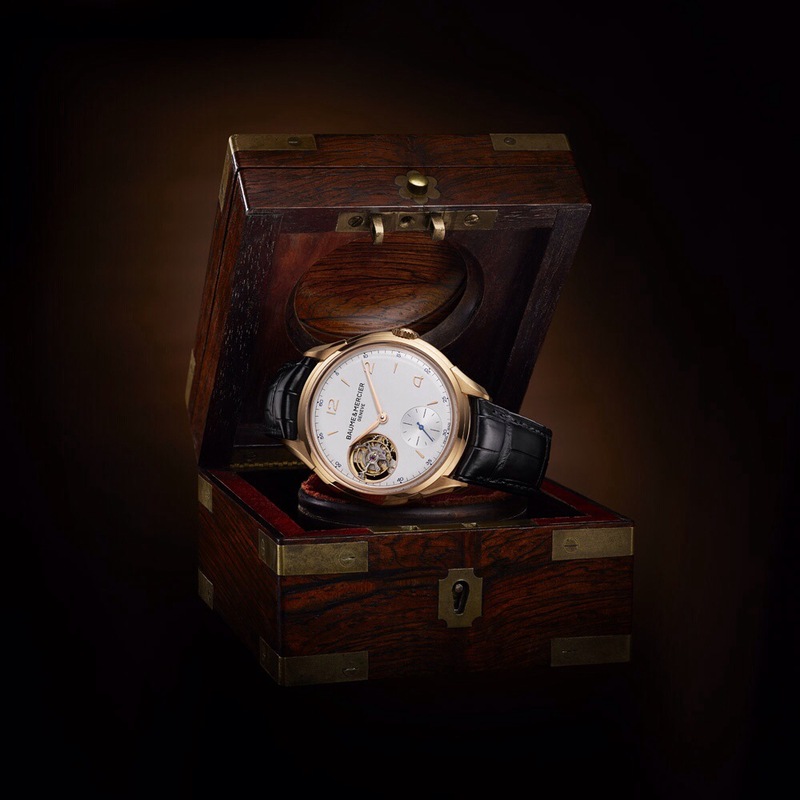 The inspiration for this watch is the 1892 tourbillon pocket watch that was presented by Alcide Baume in competition by England’s Kew Observatory. The watch won the contest and its record remained unbeaten for a decade. The Clifton 1892 Flying Tourbillon is the most complicated watch from the brand. This is the first modern Baume & Mercier tourbillon and the first tourbillon wristwatch from the brand. The highlight of the watch is the aperture showing the flying tourbillon at 9 o’clock. The tourbillon is not something most people expect from the brand, but it is telling about how serious Baume et Mercier is about watchmaking and what its collectors want. It’s priced well above the rest of the collection, but it’s still far more attainable than a tourbillon from most other brands. Powering the 1892 is the caliber P591, made for Baume & Mercier at Val Fleurier. The P591 is manually wound single barrel caliber with a 50-hour power reserve. It is a 21 jewels movement, 4.66mm thick and runs at 28,800 vph (4 Hz) The p591 Flying Tourbillon resides in a 45.5mm 18k red gold case in the classic Clifton shape. The applied Arabic numerals and applied batons on a creamy silvered dial matches the rest of the Clifton line. The sub-seconds register rests at 6 o’clock between the 5 and 7 indexes, and the faceted sword hands are crisp and easy to read finishing off the show. It’s a rather spartan and beautiful piece focusing mainly on the flying tourbillon, while maintaining the classically simple design that the Clifton embodies. The ambition is to deliver a flying tourbillon that holds the same clean design and affordable pricing that defines the rest of the Clifton collection, something to appeal to collectors across the spectrum. The Baume & Mercier 1892 Flying Tourbillon is limited to only 30 numbered pieces and is priced at $57,500, and like the rest of the collection is totally swell! This entry was posted in Baume et Mercier, Watches and tagged 1892, Baume et Mercier, Baume Mercier, Clifton, flying tourbillon, horology, manually wound, Mechanical watch, p591, pocket watch, red gold, tourbillon, val fleurier, Watches. Bookmark the permalink.